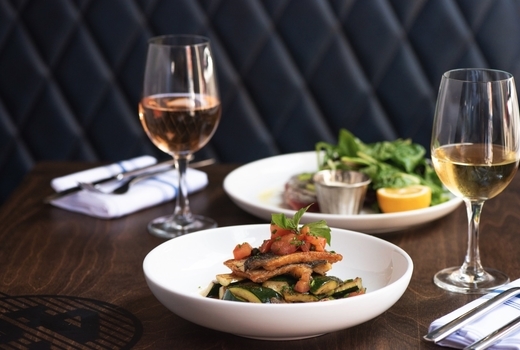 Restauranteur Jason Casano continues on his successful track with Vintage 61, a traditional American Bistro, dedicated to French-influenced American Classics and an intriguingly affordable wine list. 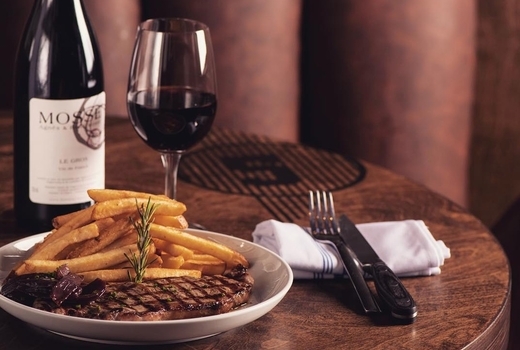 Grab this $49 pulse (a $103 value) for a delightful 2 Course Dinner For Two, with your choice of 2 Entrees, 1 Dessert and a Bottle of Wine or 4 Draft Beers. Included with all visits - an unbeatable view of the Brooklyn skyline. From classic meaty dishes, to traditional fare from the sea, Vintage 61 offers a variety of hearty classics and comforting entrees. 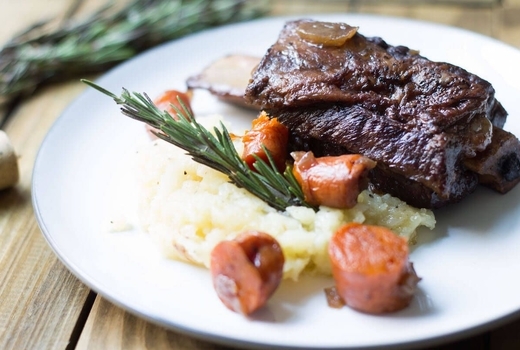 The Short Ribs are fall off the bone succulent and come doused in red wine with a serving of mashed potatoes. Or go for the Loup De Mer - pan roasted mediterranean sea bass served with zucchini, tomato, capers and basil with an olive oil based sauce that warrants swabbing up the last drops. 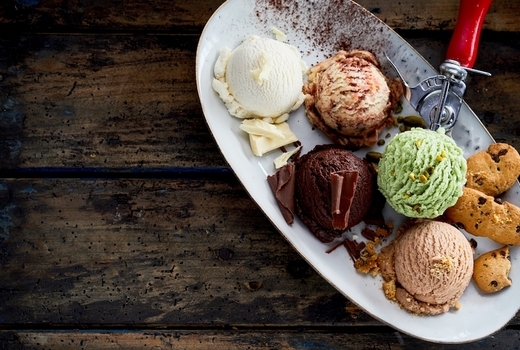 Finally, end your meal with a delicious Gelato as you take your pick from rotating flavors that include Dark Chocolate, Peanut Butter, Vanilla Pecan, and others. 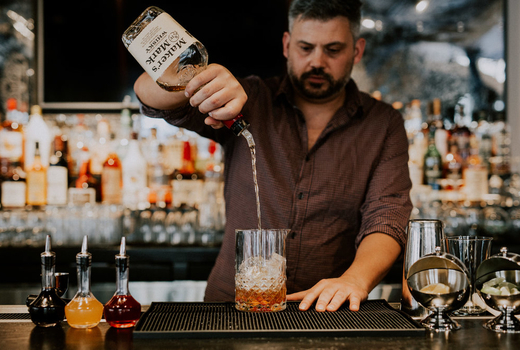 Vintage 61 is the latest venture form Jason Casano (Kiwi Cuba, Nelson Blue, Inatteso) offering an eponymous aesthetic - classic furniture of tufted leather banquettes, mahogany tables and a long bar courtesy of HPH Hospitality (the team behind Dead Rabbit and Harry's). 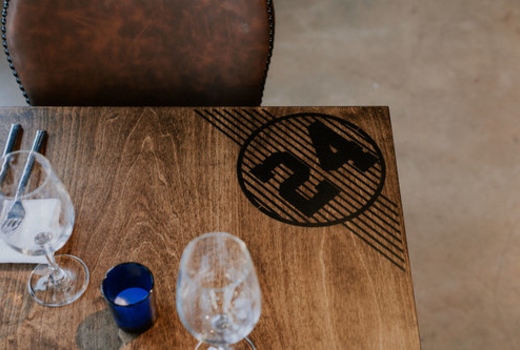 Sit yourself down and peruse Executive Chef Eric Lind's (Bayard's, Inatteso) masterfully prepared menu and you'll quickly see that Vintage 61 is one of those places that prides itself from being under the radar but is certainly a culinary destination-worthy restaurant. The Paillards (salmon or chicken) are one of Chef Lind's specialties and are prepared thinly sliced then quickly grilled with lemon, rosemary and olive oil - served alongside french fries or a salad. Nourish your soul with the lamb Pastrami Dip that comes covered in caramelized onions, a thin layer of horseradish sauce and a specially prepared jus. 2 Entrees (choice of Entrees, On Deck, Paillards or At The Stand; up to a $29 value each). 1 Dessert (choice of Gelato; up to a $9 value). 1 Bottle of House Red or White Wine (up to a $29 value), or 4 Draft Beers (up to a $9 value each). "Wow! Great steak, low/mid priced. Moving music, live vibe, and yet not obnoxiously loud. Can't wait to come back." "What a fantastic experience, amazing food, amazing staff and management!! Absolutely a must go!" 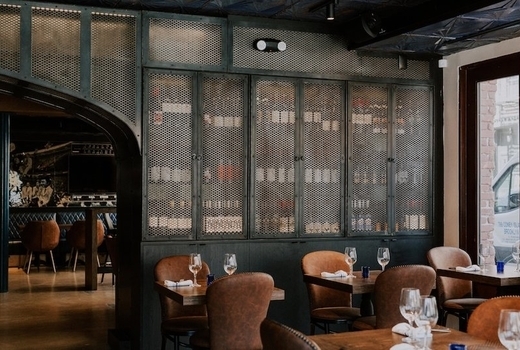 "Had a lovely evening at Vintage 61 and highly recommend the Nutella Cake paired with a bottle of rosé Château Pesquier, a new hidden gem in the seaport district!" May combine multiple vouchers for larger groups. Expires on Friday May 31, 2019.